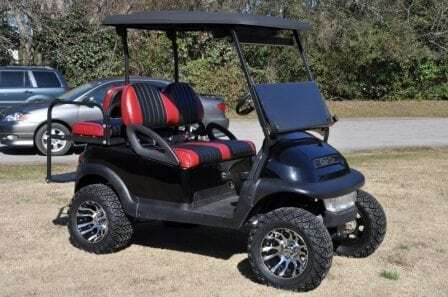 The option of using our custom golf cart painting service (painting, airbrush or hydrographics) is for those who want to change the way their golf carts look. It is a topic that has been gaining a lot of popularity ever since people started customizing golf carts. If you would like to know more about this service then we heavily suggest that you continue reading for more information. Call us for a quote today! You first have to understand that your cart doesn’t have to remain with the same, dull-looking colors it came with from the manufacturers. 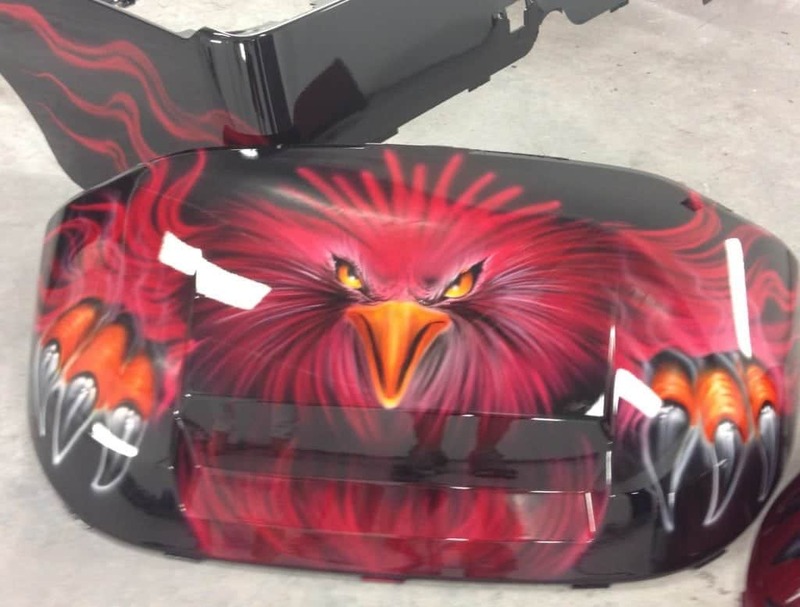 Professionals who do works like hydrographics, airbrushing, and painting can re-colour your cart’s body into a plethora of custom colors of your choosing. There is the option of DIY (do-it-yourself) but that would require you to have equipment, skill, lots of time, and might end up costing you more than you expected as well as the job looking terrible. custom golf cart paint jobsThe cart painting industry has morphed into sophistication in the recent years. Golf carts used by individual (like you and me) or by businesses/ corporations are fast becoming versatile and are being used “on” and even “off” the golf course. Who hasn’t seen them chucking along in airports, campuses, community facilities, and even on roads? Their increased usage has lead people to want to customize their carts so that they can look different, state a massage, look chic, standout, or advertise. A custom hydrographics paint job, done on your cart, can help you tell other people about a brand or service you want to advertise. The text of your message can be intricately woven into the color scheme of your cart making it look professional and very smart. Painting your cart also speaks to your personality and creativity. Since the professionals have various options for you to select, you can “let loose” and come up with a design that makes your little cart appear fierce and distinguished. You will be the talk of the town as you move from hole to next on the golf course, around the racetrack or your neighborhood in your customized painted cart. A fresh coat of paint can make anything look new and fresh. Your cart might have taken some grueling punishment over the years moving you and your clubs all over the place. It would be a great idea to revamp that cart by painting the body, adding some decals, and even customizing such things as the wheels and steering wheel. The “before” and “after” look of your cart will simply amaze you when you use the services of professional custom golf cart painters. golf cart paint designsThis might be the best part about custom paint jobs. 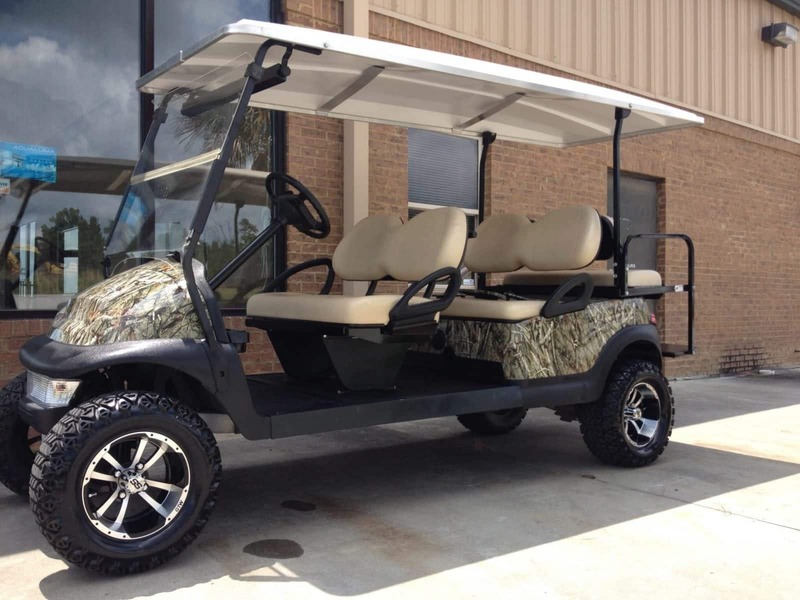 The professionals who do the custom golf cart painting are so flexible and versatile in their profession, they offer you a lot of option on which direction your custom paint job is going to follow. You should look at the word “custom” and think of the word “personalization” because this is what we offer you. Ask us if we can handle your cart model. Ask us for some examples of what a custom paint cart would look like and what colors we have. We can be very flexible with your customization. You shouldn’t have to do all the work when there are designers with creative ideas on how to customize your cart. You really should take advantage of our skills, offers, discounts, services, paints, and any other golf cart related merchandise we have to offer. You can count on the custom golf cart painting with us to do an amazing custom paint job for your golf cart and turn it into your dream cart. Our client reviews speak for themselves and whether it’s a beautiful hydrographics paint job or a custom color, metallic, camo-dipping or company/theme based paint job, we will deliver your project with the highest quality and an excellent price.